Fluoride in water is common in many water systems around the United States, and has been since the mid 1940s. However, recently the practice of adding fluoride to municipal supplies has come under increased scrutiny. Many communities are taking a second look at fluoridation levels and motivations, and as the debate continues, it’s a good idea to know some basics about fluoride and its legacy in this country. Fluoride is a fairly common element that naturally occurs in both water and plant life. The term fluoride typically refers to groups of chemical compounds that include fluorine. Surface water (lakes, rivers, streams) contain relatively low concentrations of fluoride (0.01–0.3 ppm, parts per million), while ground water sources tend to vary based on their exposure to minerals containing fluorine compounds, which can gradually leach into the water. Pollution in the atmosphere and other natural events like volcanic activity can also influence levels of naturally-occuring fluoride in water supplies. Since plant life relies heavily on water, most forms of plants and vegetation contain various levels of fluoride. The most common use for artificially-created fluoride is the treatment of cavities and supporting dental health. Fluoride has been widely shown to prevent, and even reverse, tooth decay, and has been added to many city water supplies throughout the country as a result. After the link was found between its impact on dental health, fluoride made its first appearance in water supplies in Grand Rapids, Michigan in 1945 by a process called fluoridation. This involves adding fluoride to a municipal water supply at anywhere between 0.7 and 1.2 ppm (considered the safe and effective range for fluoride additives.) 0.7 is widely considered the safest level of concentration, as well as the optimal range for preventing tooth decay. Today, the Centers for Disease Control (CDC) estimates that 72% of Americans have access to fluoridated water in their homes or communities. A strong proponent of fluoridated water, the CDC hopes to increase this number to closer to 80% by 2020. Despite the CDC’s strong backing, however, fluoride in drinking water is not without its critics. For example, recent studies have linked increased fluoride consumption in pregnant women to reduced IQ levels in their children, while other, less alarming studies simply fail to corroborate the dental hygiene benefits of fluoridated water. Is There Fluoride in My Water? While you might already know the answer, it’s easy to find out if your city or community fluoridates its water. 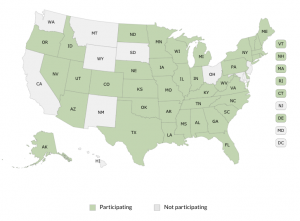 The CDC provides a quick-reference guide for you to determine whether or not your home is one of the 72% of American homes currently served by fluoridated water. If your home has fluoridated water and you’re concerned about it, there are water treatment methods available that specifically address and remove water additives like fluoride. Culligan reverse osmosis water treatment systems, for example, are designed to remove hard-to-filter chemicals like fluoride, that many other filtration systems can miss. 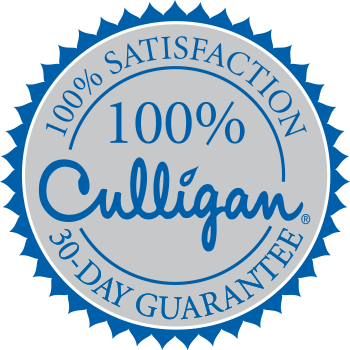 In addition to reverse osmosis water treatment, Culligan of Rockland provides additional options for filtration systems that safely and effectively remove fluoride and other additives from your drinking water. Whether you want to remove just fluoride, or have other concerns — like chlorine or iron, your local Culligan Man can test your water to determine what’s in it (for free! ), and help you make the right choice for improving your home’s water. Rockland: Do You Need an Iron Water Filter?